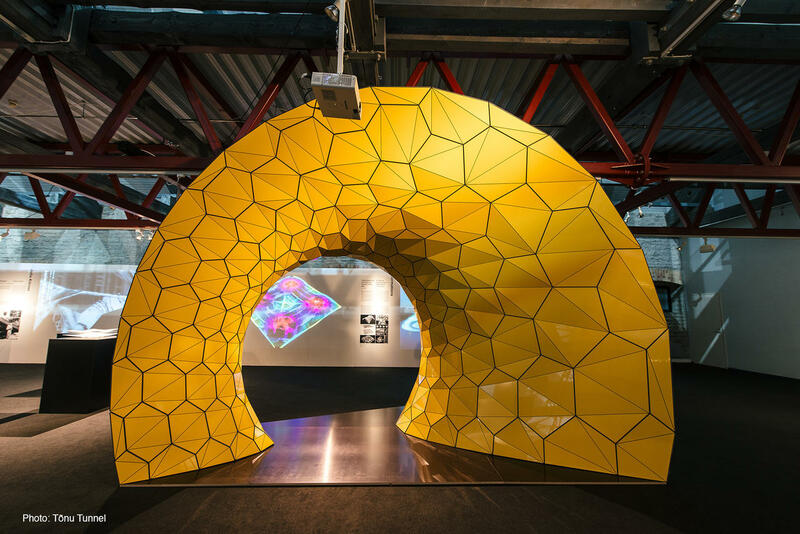 The City Form Lab is participating at the 2015 Tallinn Architecture Biennale curatorial exhibit with a custom built structure that demonstrates the lab's research on complex double-curved structures made out of strictly flat material, fabricated with simple 2D cutting and folding techniques. The proposed technique makes the design, fabrication and assembly of grid structures significantly faster and more economical than previous solutions. 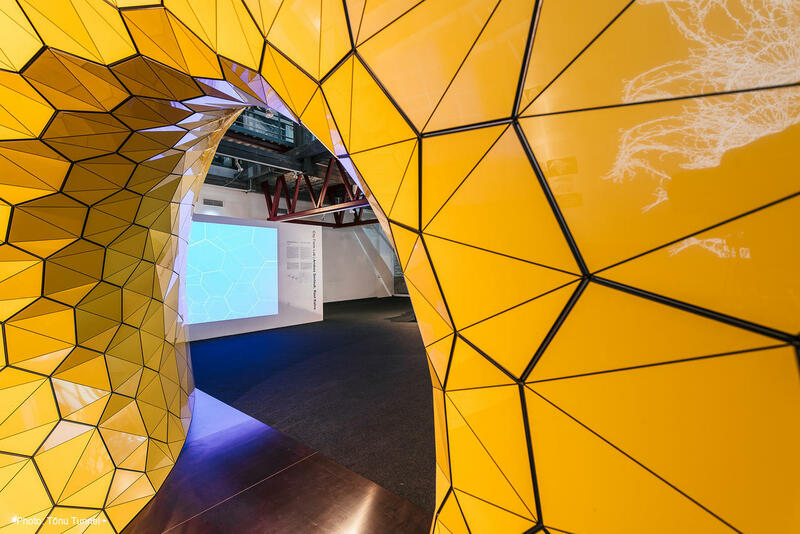 The exhibited structure extends the previous solutions developed for the SUTD Gridshell and the URA exhibit by using a new material – aluminum sandwich panels – and hexagonal modules that help avoid undesirable geometric intersections around joints and make the structure significantly lighter. 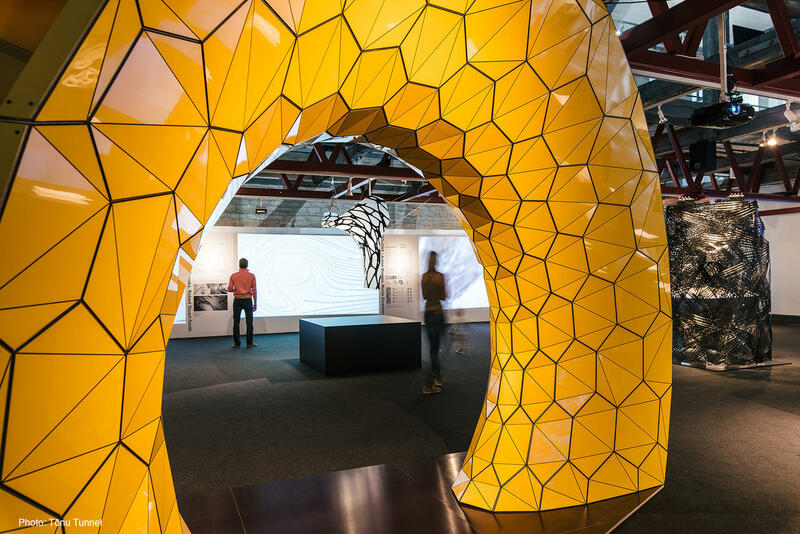 Architectural design of complex structures has made a quantum leap in the last two decades. Computer aided design and analysis tools have expanded the horizons of architectural form, similar to the way in which descriptive geometry expanded the possibilities of masonry during the Enlightenment. 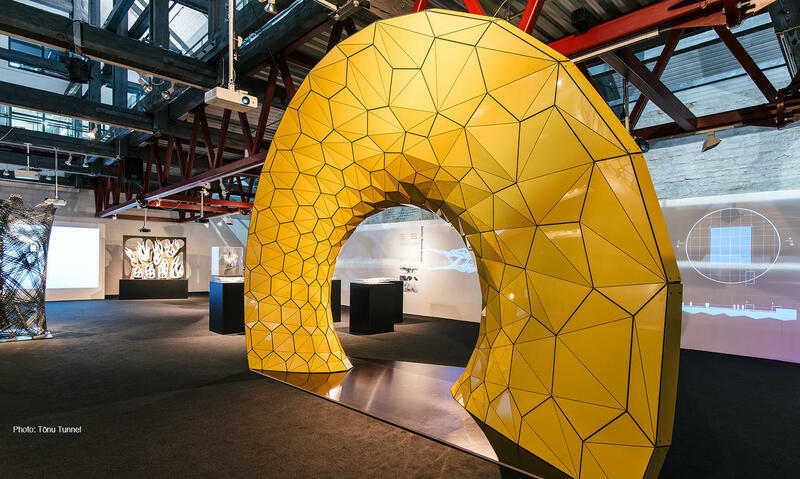 But construction technology that enables the fabrication and assembly of new architectural geometries has not kept pace. Complex forms of most contemporary buildings rely on relatively traditional column-beam support systems, infill and cladding. 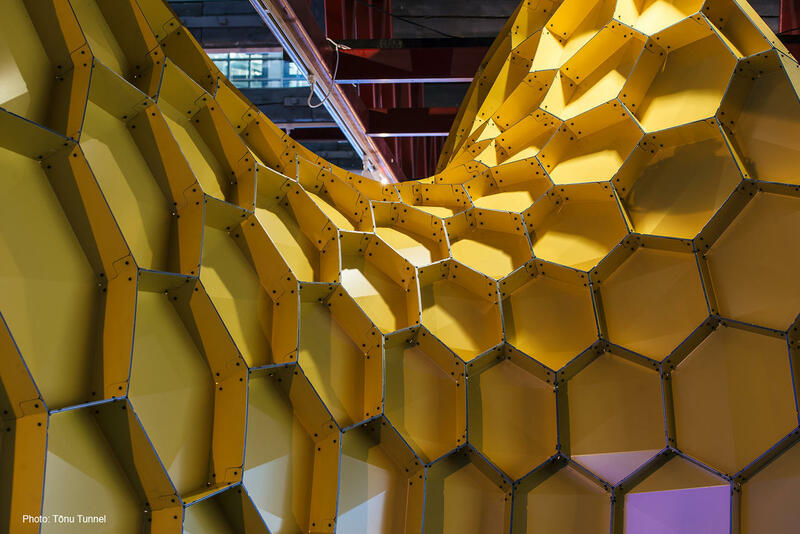 More advanced structural solutions require complex fabrication, such as three-dimensional CNC milling and highly skilled assembly labor on site – requirements that are well beyond reach for most architectural projects. 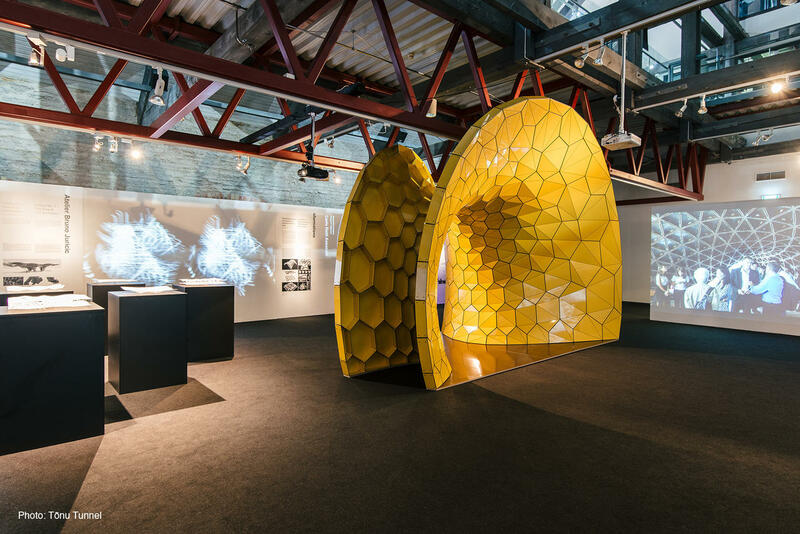 The City Form Lab’s (CFL) contribution to the Tallinn Architecture Biennale exhibition explores a novel building technology solution developed at the lab, which enables prefabricated double-curvature structures to be assembled with non-specialized labor at a very low cost. 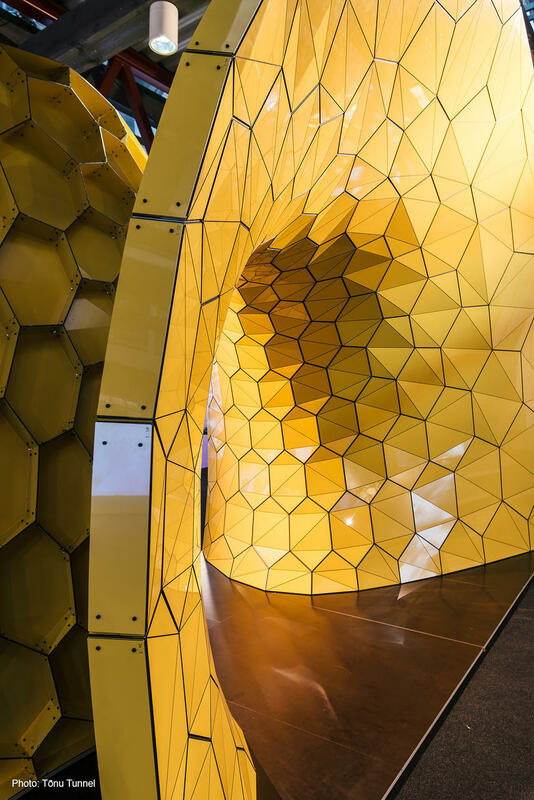 This is made possible by relying on standardized flat-sheet materials, limiting all fabrication to only two-dimensional cutting and relying on structural folding to achieve desired geometric forms. A custom RhinoPython library was developed to automate the generation of double-walled flat-panel structures from a user-provided line network. 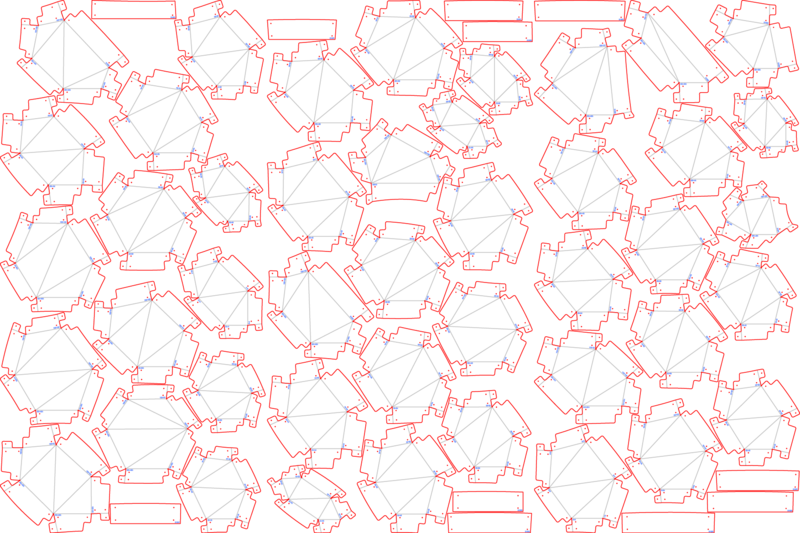 The geometries of all structural elements are jointly controlled by adjusting the underlying line-network and associated material parameters. The RhinoPython library regenerates the geometric solution when the network is altered, complete with fabrication-ready unfolded panel drawings, marked with unique IDs on each element. 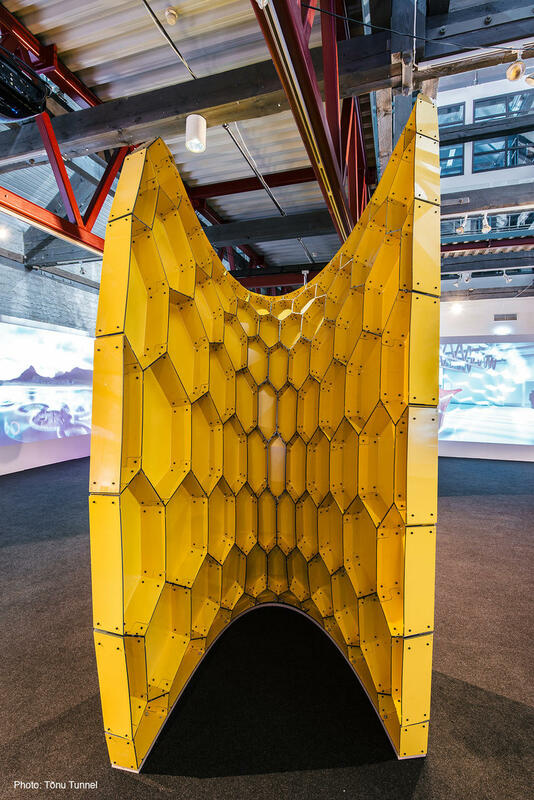 The solution has been previously tested on two related projects – the Singapore University of Technology and Design’s (SUTD) Gridshell (in collaboration with ARUP) and the Re:imagining Cities exhibit at the Singapore Urban Redevelopment Authority gallery (in collaboration with the ETH Future Cities Lab), where plywood and cardboard were used as structural materials respectively. The project developed for the Tallinn Architecture Biennale exhibit is the first to use aluminum sandwich panels as both structural support and cladding simultaneously. A minimum surface was used to generate an efficient form that demonstrates variable double-curvature applications of the grid structure solution. City Form Lab at the Harvard GSD.